My ‘teaching’ is primarily the mentoring of PhD students, of whom I’m very proud! Search my blog for more news stories about them . . . I regularly give tutorial introductions for professional development and doctoral summer schools, e.g. Finally, I did some work on tools for e-PhDs, that is, part-time doctoral research conducted at a distance from the student’s supervisor and lab. UTS:CIC designed, launched (in 2015) and coordinated the transdisciplinary Master of Data Science & Innovation. As part of this, I coordinated and taught the first presentation of Data Visualisation & Narratives in 2016. In 2018 this program transferred to the new Faculty of Transdisciplinary Innovation. Knowledge Technologies in Context (Course Unit): Conceptual foundations for the relationships between knowledge forms and technologies. 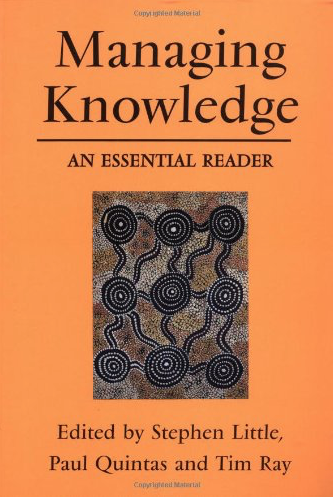 The Cost of Knowledge (Course Unit): What are the costs of obtaining information and turning it into useful knowledge? Put this into practice in a collaborative sensemaking exercise in an internet team. Sensemaking in an Internet Team (Assignment): A novel internet-based assignment to reflect on the sensemaking and team processes involved in analyzing diverse information resources on the Web.